Have you been to Octagon Barn recently? 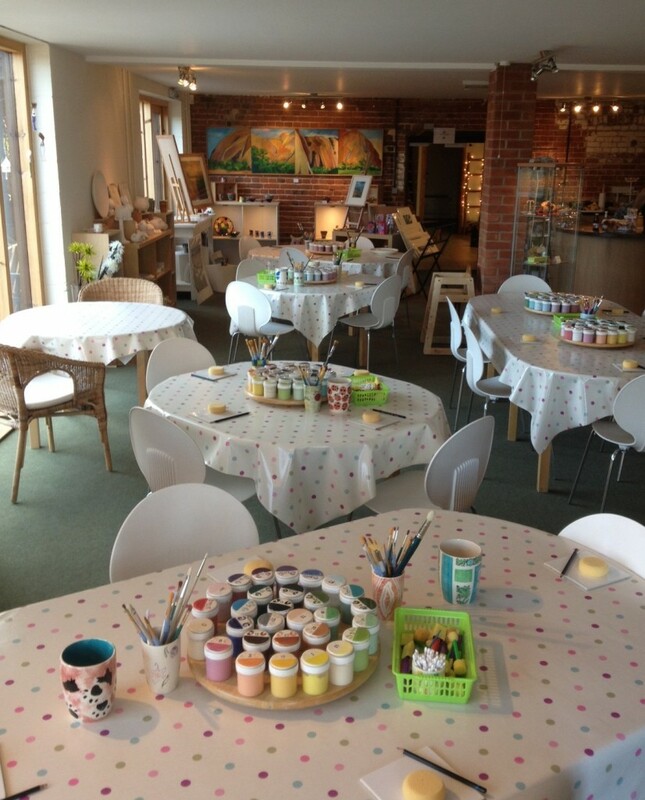 In addition to the very popular Ceramic Painting Studio, we have The Willow Tree; Home Interior & Gifts and Willow Boutique; Beautiful Handbags, Scarves, Jewellery, clothing, gifts & Accessories and the Willow Tearoom serving delicious light lunches as well as tea, coffee, soft drinks and yummy cake! So much to see and do, all under one roof! East Anglia set in a large, relaxing and comfortable studio. always so much to choose! The Tearoom continues to expand and now offers delicious light lunches, desserts, wonderful cakes, drinks and other refreshments. 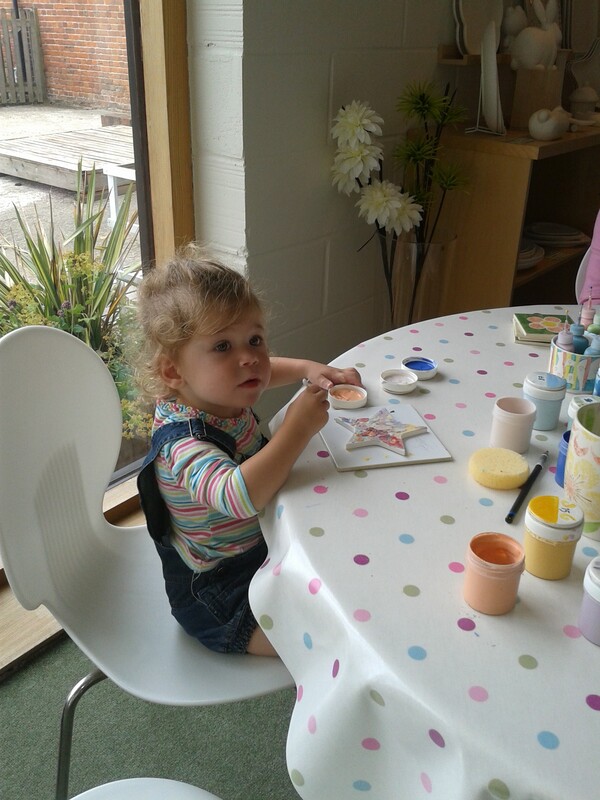 All close to hand and supporting local businesses! Octagon Barn; quickly becoming a retail destination of choice! Browse through the contemporary arts, unique ceramics, beautiful jewellery, and gifts, many from local artists and designers. We also have many gifts, cards and accessories from which to choose, or simply enjoy a coffee, tea and cake in lovely surroundings. We will be holding exhibitions, events and workshops throughout the year. Contact us for details about holding your event here. Ideal for all ages, and any number of people; adults, children, individuals, coffee mornings, mother and toddlers, birthdays and party groups, craft groups and team building events. Our experienced, friendly members of staff are on hand to ensure you enjoy a great time in a relaxed and welcoming environment, whatever the weather! 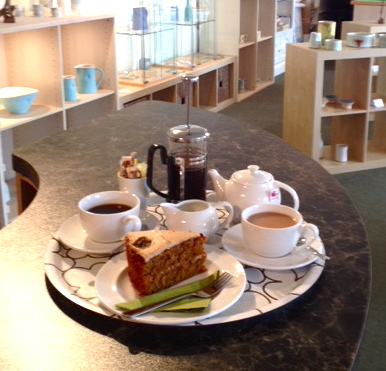 Enjoy a cup of tea from a variety of flavours, a coffee or yummy hot chocolate; maybe alongside a slice of delicious cake! Or perhaps choose something more substantial from our extended tearoom menu. It is not always necessary to book, though advisable at weekends and during school holidays and does of course ensure you have a table reserved in your name. We are unable to predict how many other customers without bookings will arrive on the day but will hold your table if you have booked in advance.